Formerly an award winning startup (ZAMRO), currently a global digital tech hub. We are part of a global family owned company, ERIKS. A multi product specialist with technical know-how as major strength. Focus is on Passion, Specialism and Innovation. 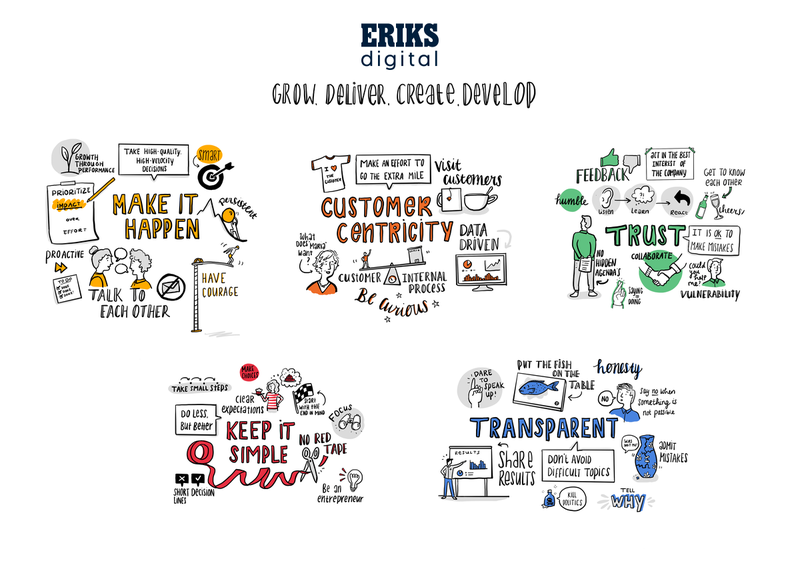 Working at ERIKS Digital is an amazing opportunity to develop yourself with people as much fun as they are bright. Are you an innovator? Do you have a passion for what you do and want to work with amazing people? Our team is growing fast! Of course we need people with the right technical and analytical skills. Our hiring bar is high, but personality and team spirit are just as important. Can we trust you to get things done, are you willing to help others and always committed in doing things better? Our Medium Blog, Tech Stack overview, old blogs here and here. A cover letter is not mandatory, but we like a motivation why you want to join ERIKS Digital! Amount of interviews vary between 2 & 4, we like to get to know you and give you to chance to get to know us too! Put on your VR/360 glasses!